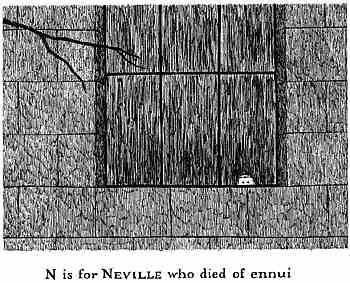 I love the work of the late great illustrator Edward Gorey which very often took matters to dark and quirky places. 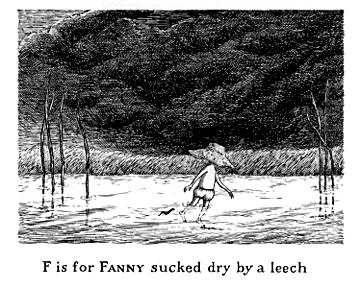 His Gashlycrumb Tinies, a primer style book with small children being done in in a variety of curious ways, is a prime example. I’ve shown a few here. At face value, it’s awful yet there is a quality to it that still makes you smile at the macabre absurdity of it. It’s often thought that Gorey, who passed away in 2000 at the age of 75, was English, mainly because much of his work looks very Victorian and Edwardian. Lots of well appointed gentlemen and gowned matrons brandishing cigarette holders. However, he was from Chicago and lived most of his life there, in NYC and on Cape Cod, where he died. He actually only left the USA once in his lifetime. One little factoid that interested me was that one of his stepmothers was the actress who played the cabaret musician who sang and played guitar in the movie Casablanca. She was playing the guitar during one of my alltime favorite scenes which featured Resistance fighter Victor Lazlo leading the band in a rousing version of the French anthem, La Marseillaise, that drowned out the singing of the Nazis in Rick’s bar. 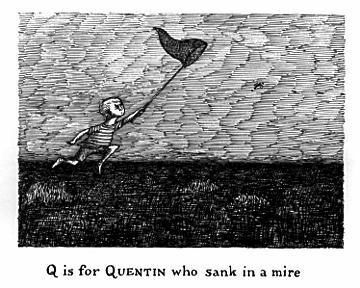 I guess that doesn’t mean much as far as Edward Gorey’s work but I thought it was a neat little detail. I also like the quote at the top from Gorey. It’s one of those realizations that come only with the passing of time, after years of trying to fit one’s self into a mode of behavior that is acceptable to others. At a certain point one realizes that they don’t have to satisfy anyone’s expectations or beliefs but their own. It’s the beginning of freedom. 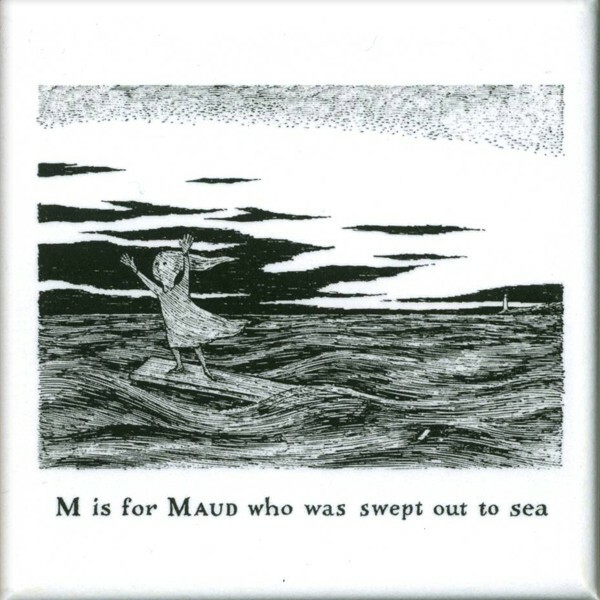 Anyway, have a good and Gorey day. 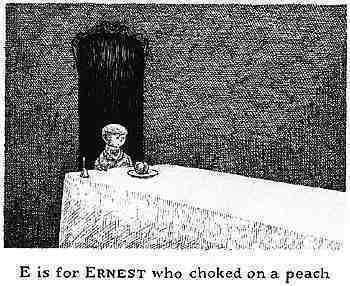 I’m a great fan of Gorey’s in all his incarnations. I still think the incorporation of his work into the intro for the PBS “Mystery” series was one of the best ever.